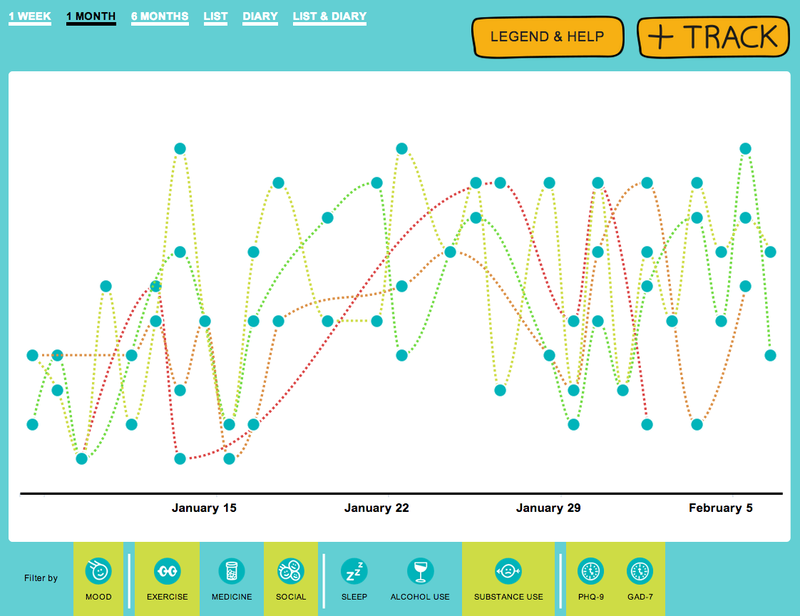 Create an account to track your daily routine on the Life Chart and see how your choice may be affecting your mood. What is the Life Chart? The life chart is a tool we have developed to help you understand how different behaviours and choices you make might affect how you feel. We know that what influences one person's mood considerably might not influence another person’s mood at all. That’s why in this feature you can choose to track different things, which might affect your mood. By doing this, you may be able to see trends about how your choices change your mood. Why use the Life Chart? Keeping a record of one’s mood requires the person charting to take a moment and pinpoint what is happening, meaning it requires a raised awareness of your mood changes. This raised awareness can help considerably in identifying potential triggers. Once you have noticed that your mood has changed, it gives an opportunity to reflect on what may have caused the change. In addition, we tend to have a difficult time remembering what has happened over the last few months so keeping a Life Chart can significantly help to relay information to your doctor or therapist. On top of that using the Life Chart can also help you to become familiar with your patterns and how long your mood cycles generally last. This ability to quantify your mood changes can make them easier to both understand and cope with. How do I use the Life Chart? If you haven’t already, sign up for an account. Then check out this page to find all the information you need on understanding and using the Life Chart.